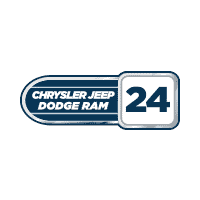 The staff at Chrysler Jeep Dodge Ram (CJDR) 24 have for over 42 years been a leader in auto sales and service for the entire Randolph, Brockton, and Stoughton communities. We’ve always had one goal, and that’s to provide our customers with 100% satisfaction and a car buying experience that’s as exciting and pleasant as possible. Here at CJDR 24, we treat everyone who enters our showroom like a valued friend and partner, and pride ourselves in meeting your every need. There’s a good reason why we’re a leading Jeep, Chrysler, Dodge, and Ram car dealership, and that’s because we truly put our customers first in everything. Your satisfaction is our success! At our Jeep dealership, you’ll never be treated like another number. Rather, we’ll treat you like a valued business partner and friend. Car buying can be a very stressful experience, but we don’t think it should be. We think getting behind the wheel of a new or certified pre-owned vehicle should be exciting and fun, and that’s what we’re out to accomplish. Our legacy of success and customer service has kept us as one of the area’s leading South Shore auto sales dealerships for well over four decades, and there’s no end in sight! We offer a range of amenities to every customer who comes into our showroom, from comfortable waiting areas to free shuttle service and car rentals. If you need to drop off a vehicle for service and don’t have time to wait, we’ve got you covered! At CJDR 24, we consider ourselves a proud member of the local community. We don’t just work here, we live here, and we’re proud to be local residents. That means we want to take care of you as a neighbor, not just as a customer. We strive to build a legacy of honesty, trust, and straight dealings with our customers. When you buy a vehicle from CJDR 24, you don’t just get the best in sales, financing, and lease deals and buyer incentives. You also get auto maintenance and repair services that are second to none. Being a leading dealership for South Shore auto sales and service means more than getting you behind the wheel; it means keeping your car running, too! That’s why our service technicians bring decades of combined experience, a state-of-the-art facility, and genuine OEM parts to the table to make sure your car runs in year seven the way it did on day one. If you’d like more information or are looking for the best South Shore auto sales in Brockton, Stoughton, and Randolph, call or check out our showroom at 1020 Belmont Street, Brockton, MA 02301, today!